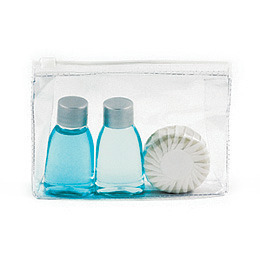 Ocean Botanicals Range promotional travel packs, are a great way for you to get your promotions moving. All items in this printed travel pack come packaged in a clear, reusable vinyl bag with zip slider. Containing Australian botanicals enriched with sea minerals, designed to refresh and uplift the body, mind and soul. Additional print options for items within the pack also available for additional charge. Pack Contents: 36ml body wash, 36ml conditioning shampoo, 40g pleat soap.